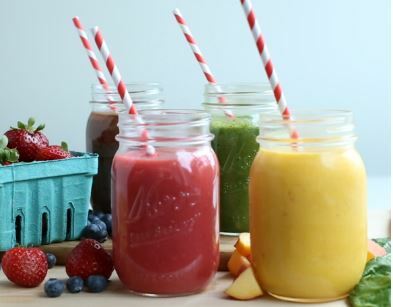 To prepare smoothies ahead of time, cut fruit into one inch pieces, and fill mason jars or ziplock bags to the brim with smoothie ingredients (all except non-dairy beverages and lime or lemon juice). Store in freezer for up to 3 weeks. When ready to use, remove from freezer, add non-dairy beverage and/or lime or lemon juice and blend until well combined.